On the road, the concept of ‘smart street light’ probably doesn’t jump to mind for most of us. But in the last 5 years, as the boring street light has gotten a smart facelift, that’s exactly what’s been going on. You might be saying to yourself “Streetlights? They just light our streets at night! What else is there?” Smart street lights – which use bright white LEDs – provide light, of course, but they are much more than that. They’ve got motion sensors, they reduce energy usage and therefore emissions, and they send data back to the utility and city about their energy usage. Originally, many claimed that these new streetlights kept streets safer and contributed less to light pollution because of their bright white color and the directionality of LEDs. However, in the last year or so, it’s their effects on health, safety and the environment that are turning people off LED streetlights, at least in their current form. For the past 200 years, streetlights have been pretty simple. From the original oil lamps to gas lights, then finally to the electric lights as we know them today, they all perform one simple task: lighting public areas for both safety and convenience. Most streetlights in use over the last 50 years and even today use high-pressure sodium (HPS) bulbs, which were designed by GE in the 1950s and started being adopted on a wide scale in the 1970s. In 2014, the US Department of Energy sponsored a survey in cities, municipalities, and Departments of Transportation about their street lighting. They found that HPS is the most prominent type of street lighting for 82% of the cities and towns under the survey. HPS lamps are fairly efficient and have a longer lifespan than similar bulbs. They’re compact, cheap and have a fairly decent color quality. You’ve seen them almost every day you go outside – they’re streetlights that cast an orange-y glaze over everything they touch. Like I said, decent color quality… not great. As you can see, HPS bulbs sit pretty low on the Kelvin scale, clocking in at about 2700 K – just below incandescent bulbs. 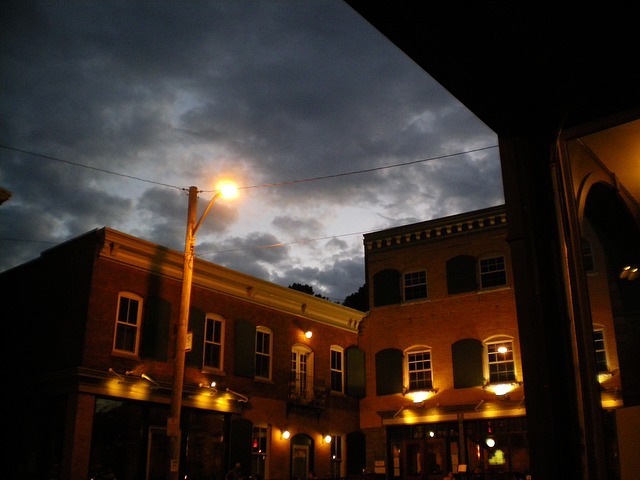 Streetlights typically use timers or photoelectric sensors so the lights turn automatically on from dusk to dawn. Like we said, streetlights are stupid, so even if it’s 3AM and no car, bike, dog or even raccoon has been on the street for hours, the light is still on regardless, blanketing the street in an unnecessary orange haze. And… that’s pretty much it. 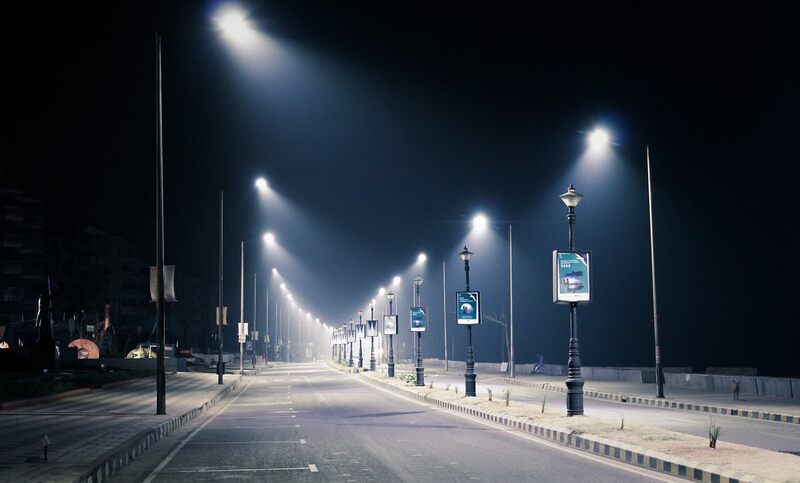 There are other types of street lighting, like the now-banned mercury vapor (too inefficient), and the metal halide (2nd most common behind HPS), but they all do one and only one, simple action: automatically turn on and provide light at night. Unlike their old cousin, smart streetlights are, well… smart. They can be dimmed in the early morning hours when no one’s around, they can have motion sensors to not waste electricity, and many are even coupled with solar panels and batteries so that they can recharge during the day! Upgrading to smart streetlight is like going from an analog pocket watch to an Apple Watch in a single instance, and saving money while doing it, too. Street lighting accounts for a gigantic chunk of cities’ energy budget (in Seattle, for instance, streetlights account for a full 50% of their energy bills!) and decreasing the amount of electricity streetlights use, means gigantic financial savings for cities. The City of Portland, Oregon, is currently transitioning all their streetlights to LEDs. They’ve currently changed 20,000 lights and by the time all the lights are switched over to LEDs, the city expects to save $1.5 million a year and decrease carbon emissions by 10,500 tons! ­­Los Angeles and New York have similar projects underway. The light’s color quality from the LEDs in smart streetlights typically falls around 4,000 to 4,500 on the Kelvin scale – higher than direct sunlight! Many in the industry claimed this was good news for safety, as the clearer light quality would allow better visibility for both drivers and pedestrians. In addition, the light from LEDs, unlike HPS bulbs, is directional – meaning it emits light in only one direction. It has also been touted that, thanks to smart streetlights, light pollution would decrease as well. Who could argue with the benefits? Less energy use, less emissions, better safety and less light pollution. And of course, all this while also saving money. Many cities jumped on the chance to immediately install LED streetlights! However, organizations and the public are now finding that this is not the case, at least with the smart streetlights we were adopting up until now. Smart LED Street Lights: Too Bright for Their Own Good (at Least for Now) ? It’s not the brightness that people have issues with. The ‘connected-ness’ or the energy savings neither. The issue consists in the color of the light. As we saw, HPS lights are about 2700 on the Kelvin scale and emit an orange glow. That wasn’t something that researchers tried to create, they were trying to create a more efficient bulb, the color is just a side effect. However, since the bulb was introduced, we’ve serendipitously found the orange-y color of HPS bulbs to be less intrusive – our eyes don’t have to strain at night and there’s much less glare. LED streetlights, falling around 4000 on the Kelvin scale, provide a very clear whitish-blue light, more similar to daylight. In the right context (a warehouse, for instance), this color intensity is completely fine, but during summer 2016, the American Medical Association (AMA) published their official stance on LED streetlights: be careful what you install. Typical LED streetlights produce 5x more glare than traditional street lighting and the bright whitish-blue lighting can also affect Circadian sleeping rhythms. Not a huge issue for humans, who can just go inside, but it could affect the health and well-being of all the animals living in the area. In response to these issues, the AMA encourages installing LED streetlights with a lower intensity than what is typically installed. 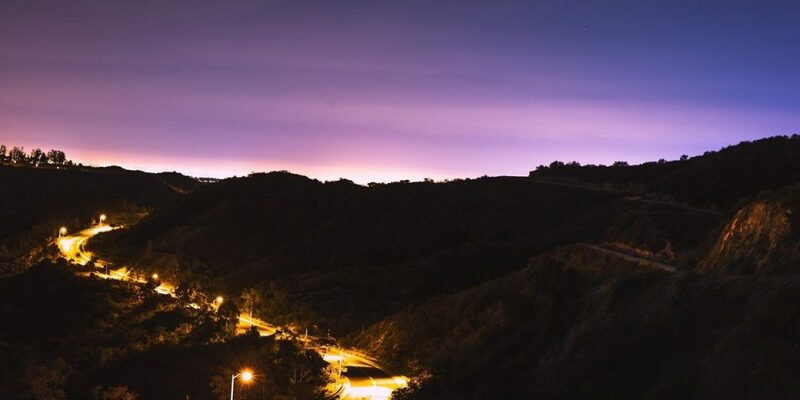 The Dark Sky Association, a non-profit committed to reducing light pollution, also encourages cities to think before installing LED streetlights. Even though LED streetlights point light in only one direction, they claim that whitish-blue light diffuses into the atmosphere more easily than red or orange light, potentially creating even more light pollution. In response, Cree, a leading LED streetlight manufacturer, has already begun producing 3000 K LED streetlights, which is just a tad whiter than incandescent bulbs. As with any new technology, early adoption is always a little shaky as the technology is tweaked to suit the needs of its users. The color intensity of smart streetlights is one small part of the whole package. It’s not something that is intrinsic to these streetlights. Once the intensity and color is fixed, there’ll be no more road blocks to installing emissions-free solar streetlights (or at least highly-efficient LED streetlights) all over the country!